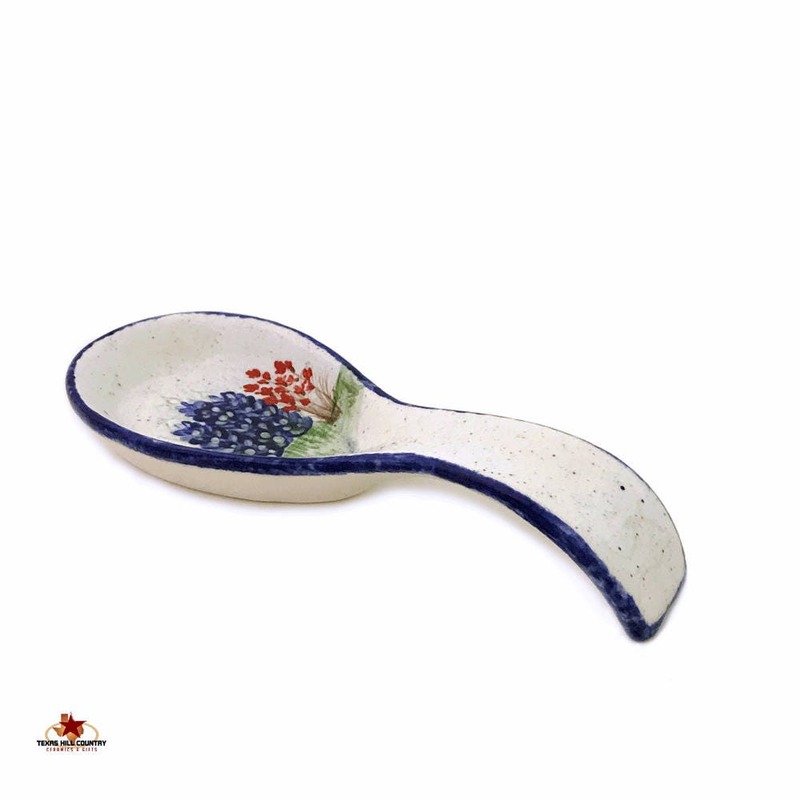 This long oval ceramic spoon rest is perfect for your kitchen counter or stove and to help you keep the area free of spills or messes. 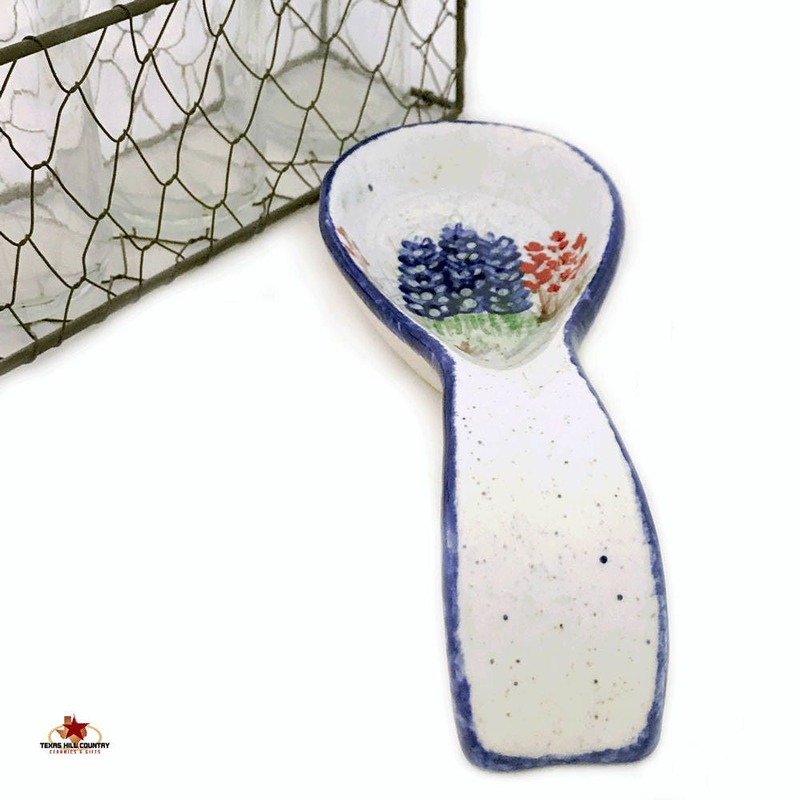 Each spoon rest is solid cast domestic ceramics for added durability. 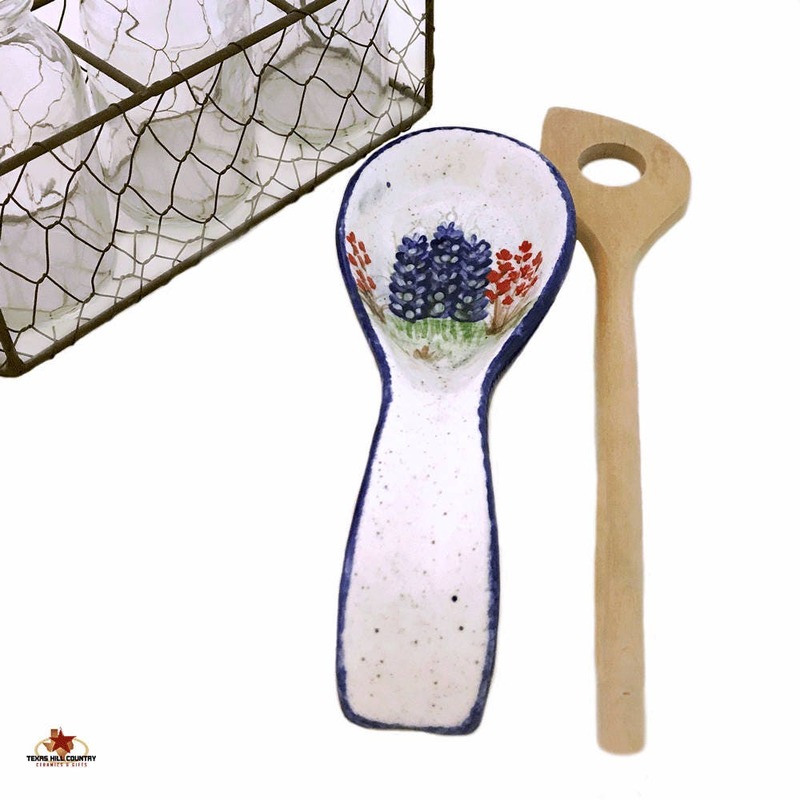 The scoop of the spoon rest is decorated with hand painted Texas Bluebonnet wildflowers, it is my original design. Made to Order. • the arch of the handle is 1 1/2 inches tall. 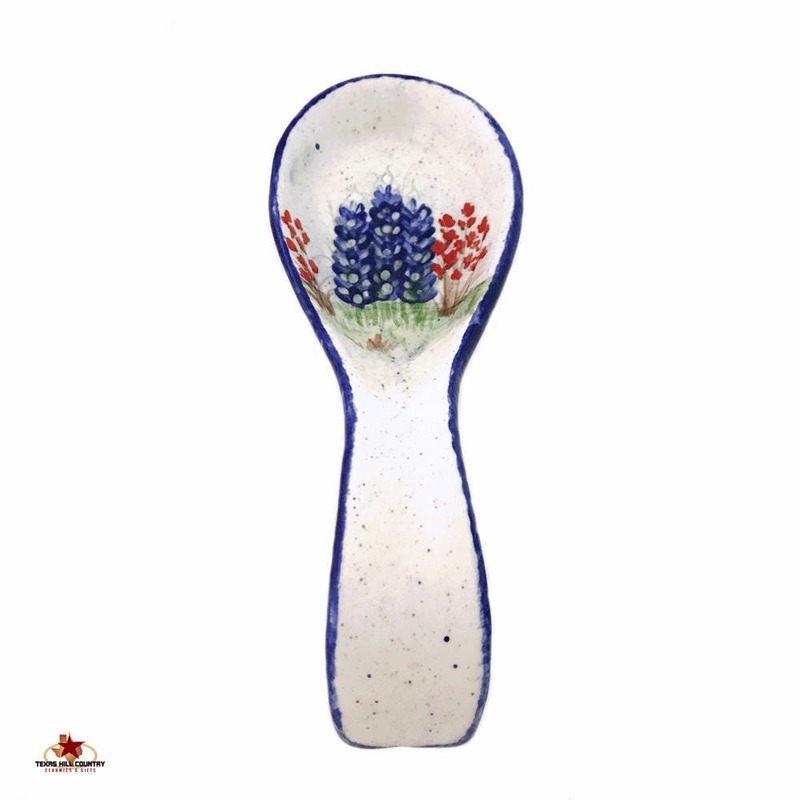 The cluster of bluebonnet and Indian Paintbrush wildflowers are hand painted, the colors will not fade, flake or peel. You will not find this available anywhere else, the design is an original of mine. 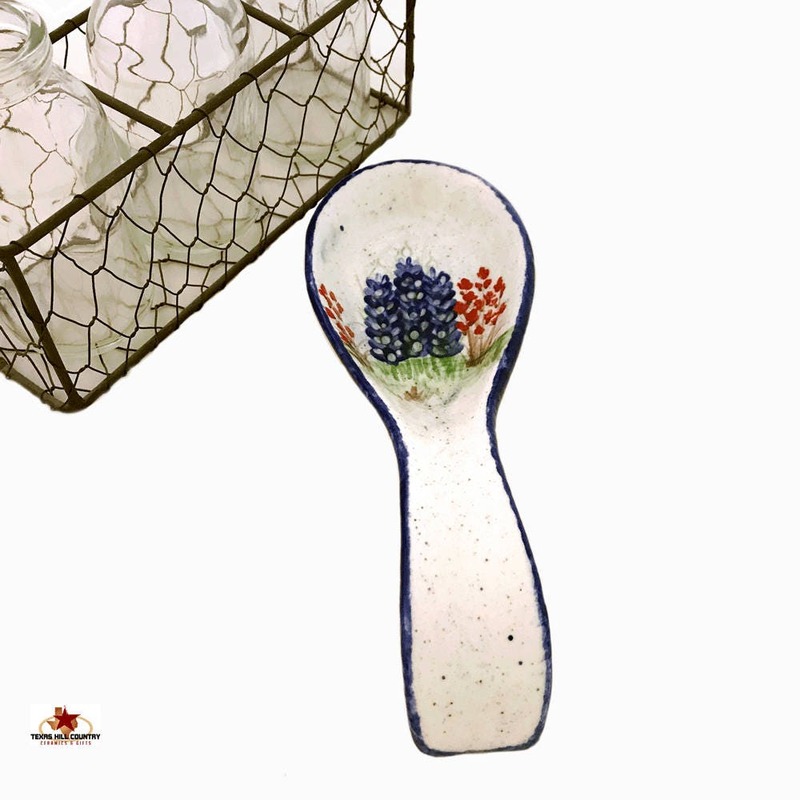 Each spoon rest is hand painted and has its own individual characteristics. Finished with lead free glaze and dishwasher safe.